Côtes de Castillon has been the site of considerable interest and investment in recent years. Production is significant, yielding over 1.5 million cases per annum and quality is quite variable, ranging from the everyday from the sandy and light gravel soils to imposing, aspirational wines benefiting from considerable investment, and made from the clay and limestone vineyards on higher slopes. To the east of the St Émilion wine appellation, and on the north bank of the Dordogne, Côtes de Castillon has been the site of considerable interest and investment since the early 2000s. Wine production is significant, yielding over 1.5 million cases per annum and quality is quite variable, ranging from the everyday from the sandy and light gravel soils to imposing, aspirational wines benefiting from considerable investment, and made from the clay and limestone vineyards on higher slopes. The style of these latter wines is akin to good St Émilion, and the wines use predominantly Merlot and Cabernet Sauvignon. In common with other regions recognised to produce interesting and good-value wines, several well-known St Émilion proprietors have invested in the appellation over the past decade, among them Gérard Perse of Ch. Pavie, Stephan Von Neipperg of Canon-la-Gaffelière, and consultant Stéphane Derénoncourt. 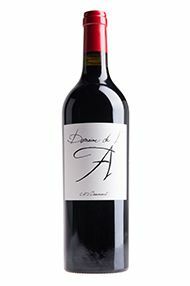 Stéphane loves the ’14 vintage, describing as ‘classic’ its combination of power and finesse. Still very youthful at two years old, with an abundance of tannin and ripe black fruit wrapped around a mineral core. The influence of 40% new oak is pronounced but will diminish in due course. 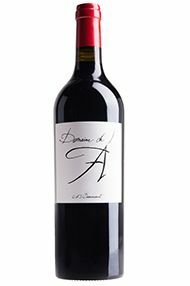 Decanting reveals subtle floral aromas – a hallmark of this wine, which Stéphane attributes to the vineyard’s tuffeau limestone soils, and 20% wholebunch fermentation. The finish is mouth-watering: long, fresh and distinctly saline. Although, impressive now, this will be best approached from 2019 onwards. Tasting this was a revelatory experience: Burgundian thinking in the mould of Bordeaux. 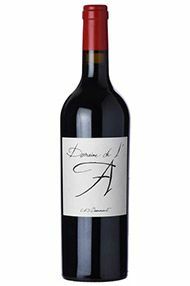 Beautifully strung together, it captures the essence of Merlot and Cabernet Franc. A scented nose of black rose petals greets you amidst aromas of muddled hedgerow fruit and lifted, spiced black cherries. Exuding fresh red plums and cherries, the palate is seamlessly balanced with very fine ripe tannins and a glorious velvety texture, bringing a mouthcoating richness and flavours of damson. There is lots of freshness here, with detailed, pure fruit shining throughout. A limestone acidity contributes to the precision and length of this pretty wine. It’s all about the fruit, but holds a fine backbone and structure which gradually builds towards the back of the palate. Wonderful to taste in its youth, this is a lot of wine for the money and guarantees enjoyment over the coming 10 to 12 years. I’ll certainly be picking up a case and would recommend drinking from 2020 to 2028+. I simply love this wine. It doesn’t get one of my highest scores of the vintage, far from it, but it is so effortless and eminently drinkable that it is hard to put down. I can’t recall having a wine quite like it. Tertre Rôteboeuf had always been my reference point for “Burgundy-style” Bordeaux, but this has gone beyond even François Mitjavile’s impressive offerings. 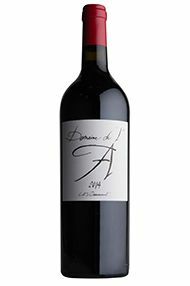 A blend of 75 to 80 percent Merlot and 20 to 25 percent Cabernet Franc (either he couldn’t remember the exact blend or I wasn’t listening properly), this has an easy feel, fresh with a distinctly Cabernet Franc, lifted nose, with notes of chocolate and menthol. There is a very fine grain to the tannins that sink into the pretty and gentle, fruit-filled core. There is a cooling quality to this wine, a natural ease to its demeanour. Very drinkable now, this will be an absolute delight in about five years – I can’t wait.